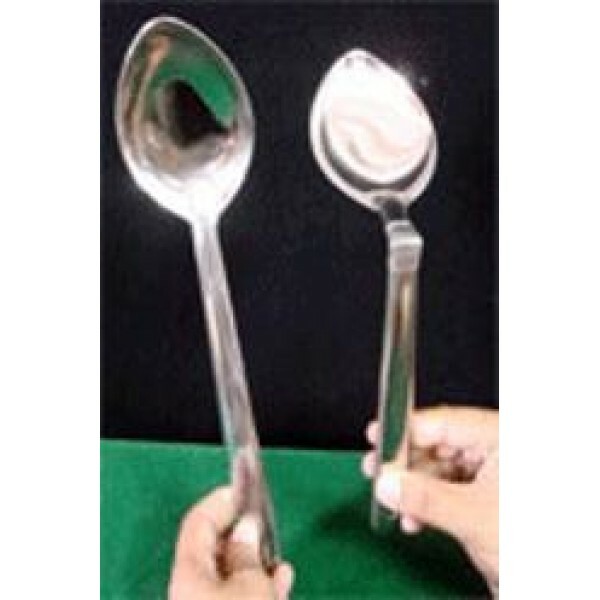 Using a giant spoon, the magician is able to display his mental powers by making the spoon bend at will just by using his mind! The spoon is totally under the performers control at all times! You use the same spoon every time!